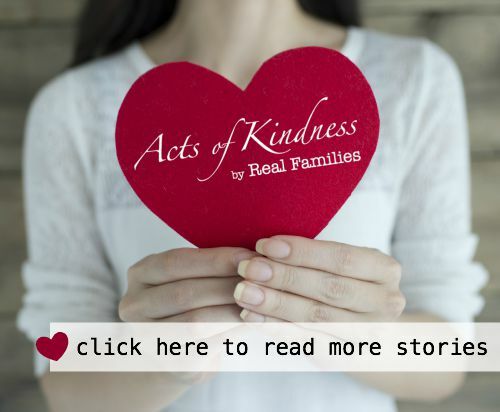 Acts of Kindness by Real Families is a series featuring stories about service to others. Whether big or small, planned out or spontaneous, hearing about different act of kindness can inspire us to give more to those around us. It’s fun to find new ways to show kindness in our communities, and I hope you will be inspired to get your kids involved in serving others through these creative ideas. 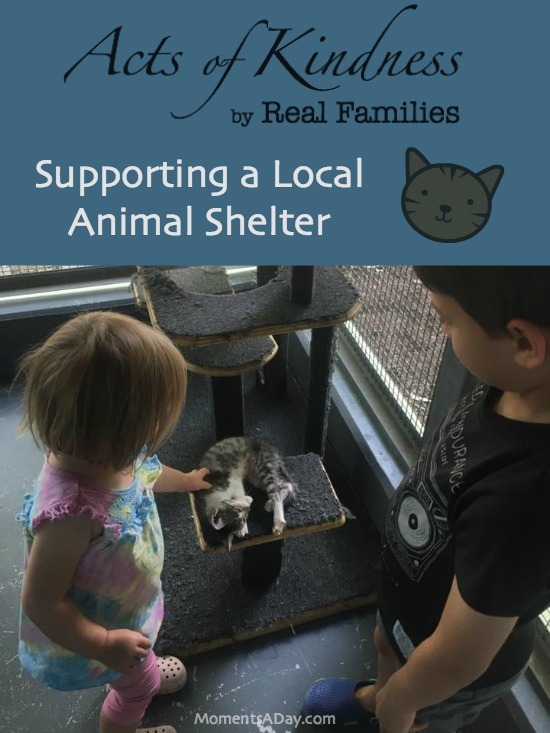 For this post, I am sharing an event I planned for our homeschooling group involving our local animal shelter. What happened: I called up the Royal Society for the Prevention of Cruelty to Animals (RSPCA) in our town and asked if they offer tours for groups of children. They did not have the staff or space in their own facilities to do this but offered to do a visit for us to explain about the organisation and show some of the animals. 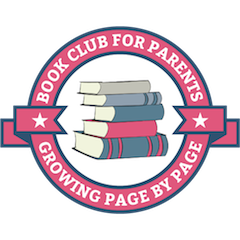 Although I planned this event for our local homeschool group (and we held the event at a library), it could also be great for a school group or club. Because of the size of our group, we split into younger and older kids so they could give two separate presentations. I prepared some animal games and activity sheets for the kids to play with while they waited for their turn to go to the presentation. The RSPCA representative gave a fantastic presentation on what the RSPCA does, how kids can care for animals, and how to support the local shelter. We had asked each child participating to bring a “gold coin donation” (that is $1 or $2 here in Australia) so that we could buy some items to donate to the RSPCA to thank them for their time. With the collected money, I took my three kids to the pet shop and we purchased several wishlist items for the RSPCA. This time the items included cat food, kitty litter and leashes. We then visited the RSPCA to donate them and see some of the animals who were living in the shelters there. How the experience affected your family: Our boys have always wanted a pet but since our family travels so much we have decided not to get one. 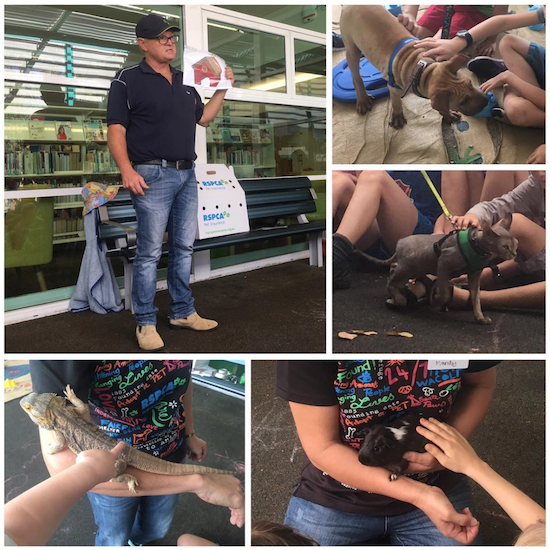 I still wanted them to be able to get involved with pets, though, so the RSPCA visit allowed the kids to learn more about animals as pets and to nurture some who are in need. Unfortunately to be a volunteer at the RSPCA you have to be over 18 years old for legal reasons, but they do take donations and homemade cat/dog toys which is something we will also get involved with in the future. Here are some easy DIY pet toys that we have on our list of things to do: for dogs and for cats. Message to others: Visiting the animal shelter made a lasting impact on my kids. While they were sad to know we would not be getting a pet any time soon, they were even more moved to see so many animals in need of homes and happy about the idea of being to donate needed items to them while they are at the shelter. If you can visit your local shelter and help out in some way, I highly recommend it.